Preheat oven to 200 C, position rack in centre of oven. 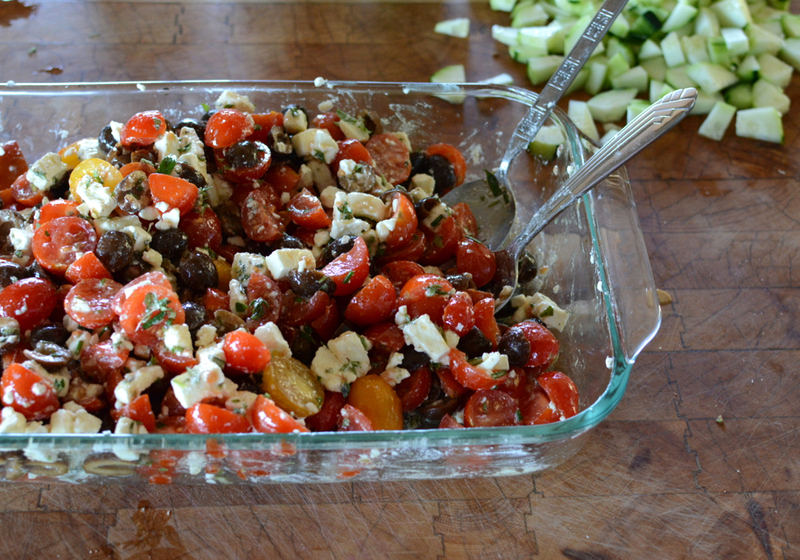 Combine feta, tomatoes, olives, herbs and olive oil on a foil lined baking tray and toss to mix. 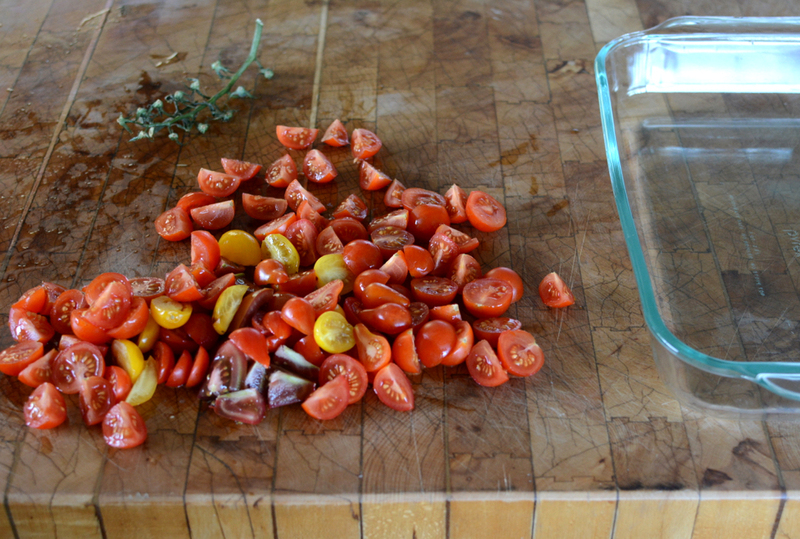 Bake for 25 mins or until the feta has melted and the tomatoes are soft and brown. Meanwhile, bring barley, water and 1/2 tsp salt to boil in a medium saucepan over medium-high heat. Reduce the heat to medium, cover and simmer for 20 mins or until tender. 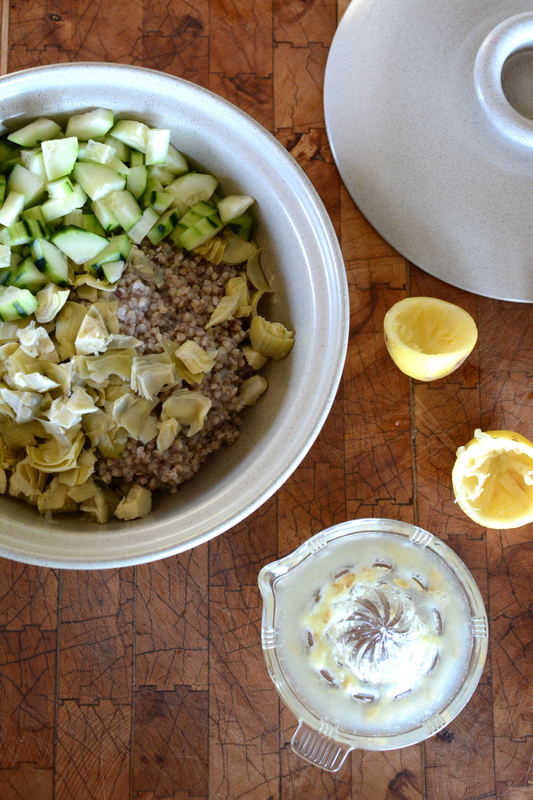 Fluff barley with fork and transfer to a salad bowl. 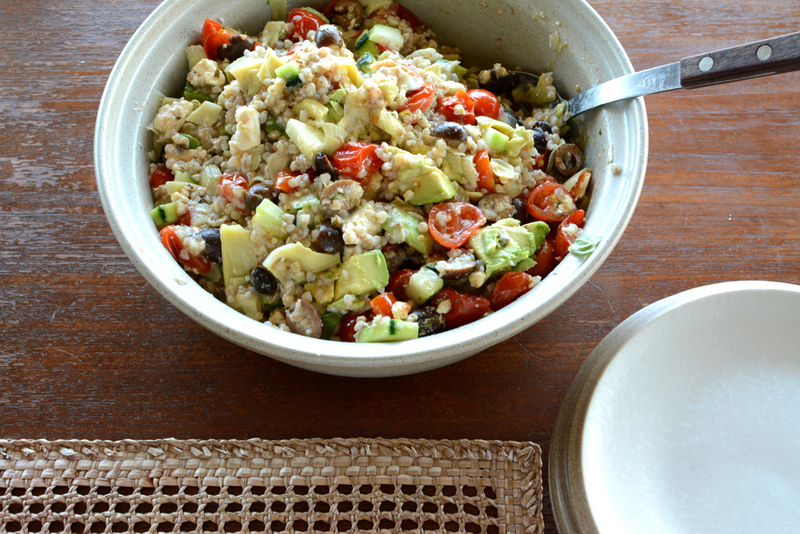 Add avocados, artichokes, cucumber, basil and lemon juice to the barley and toss to combine. Stir in the feta mixture. Season to taste with salt and pepper. Yum, I’ll have to remember this for when we take our dinner down to the neighborhood pool…seems like a good meal for hungry swimmers 😉. And I like that you used buckwheat instead of barley – I’m GF too! made this tonight, just omitting the avocado since ours were not ripe…delicious, we all enjoyed adults and kids! thanks for the recipe! Cheesy Egg Tacos -- another delicious breakfast idea!